Ces chaussures scintillantes noires à méga clous ne sont-elles pas fabuleuses !!! Merci Aldo pour ces beautés ! Le Nouvel An aura de la gueule !! 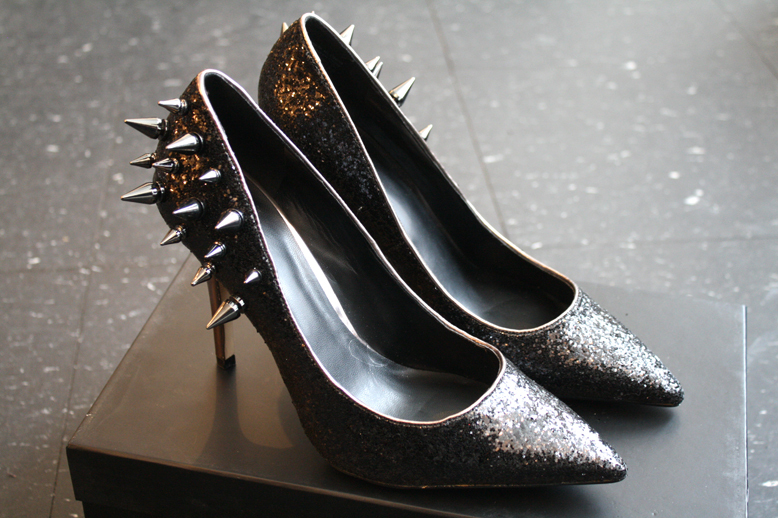 How hot are these black shimmery pointed toes spiked high heels !!! Fierceness to the max ! Thank you so much Aldo for these beauties ! New Year will be rockin' ! Check out the Truth or Dare by Madonna collection on sale via Little Burgundy !